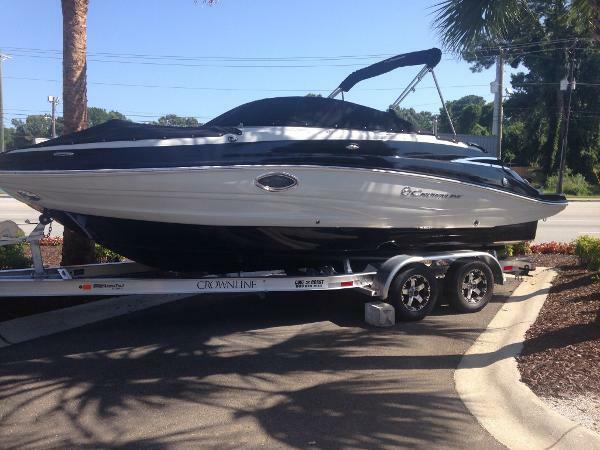 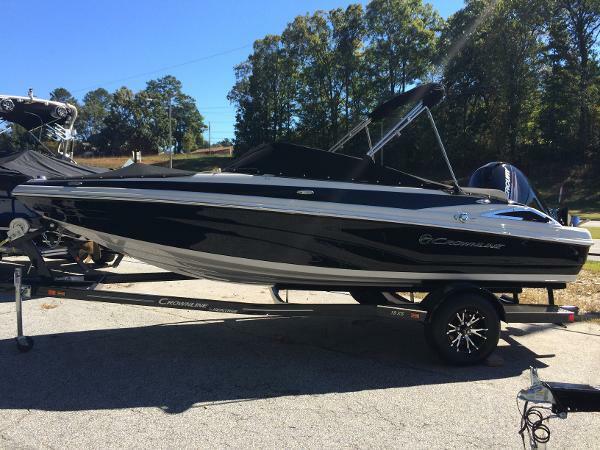 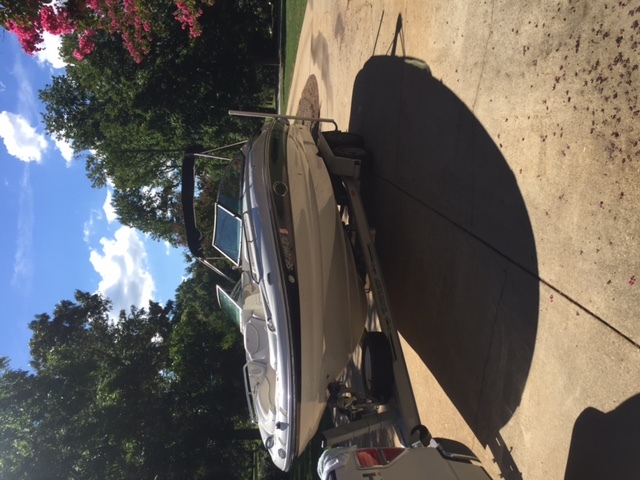 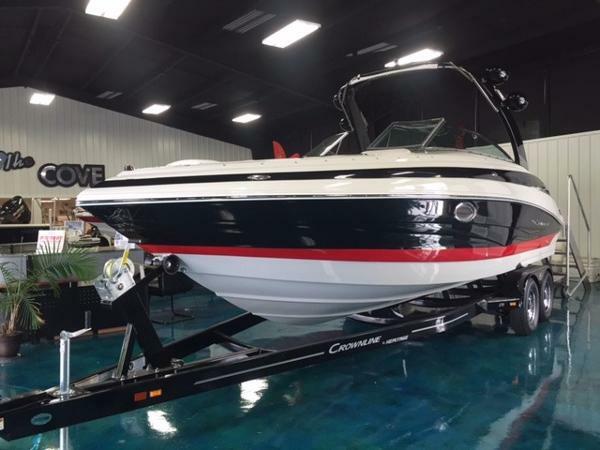 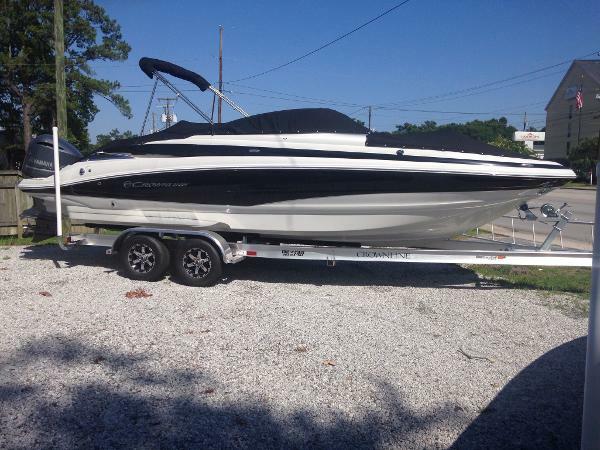 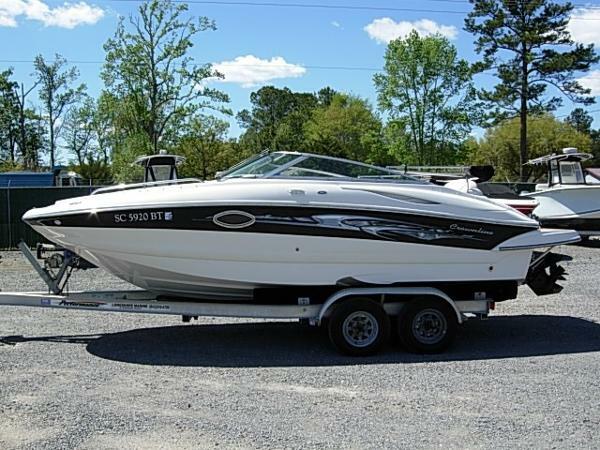 2013 Crownline 255 SS 2013 Crownline 255 SS with a Mercrusier 377 Mag, SeaCore With Bravo III drive and only 80 hours. 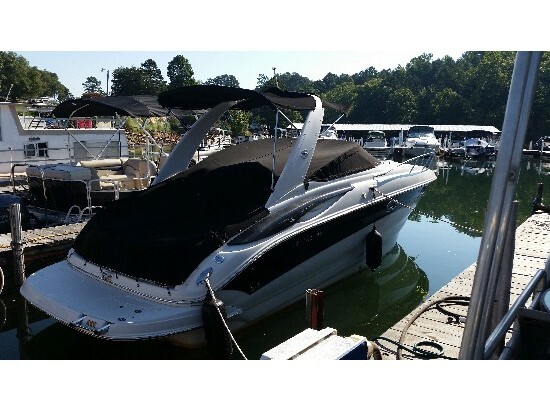 This two tone black and white boat is ready to go. 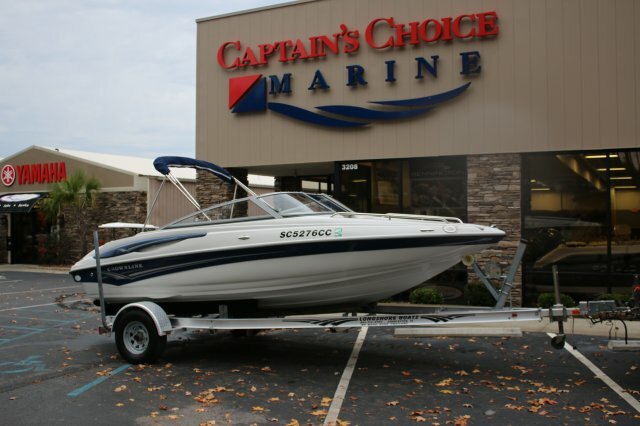 With an overall length of 25'8", beam of 102", 12 person capacity and 55 gallons of fuel, your ready for a day on the water. 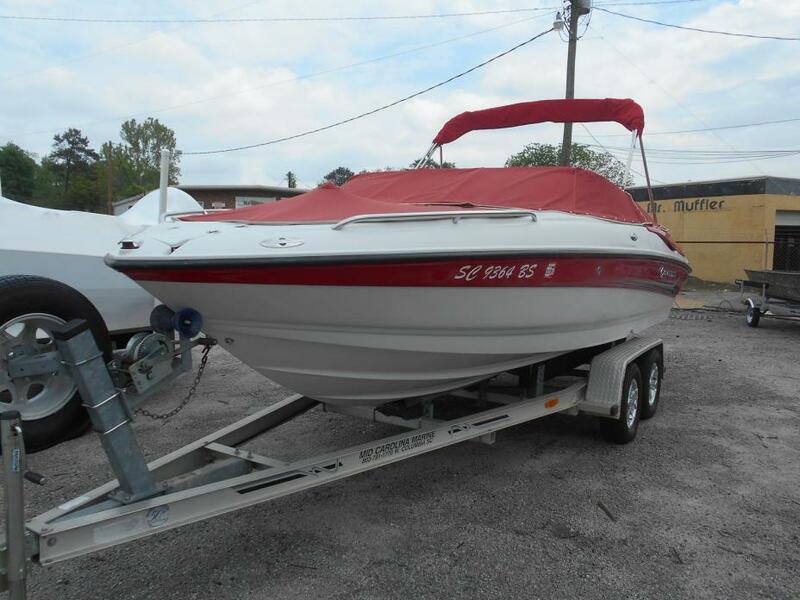 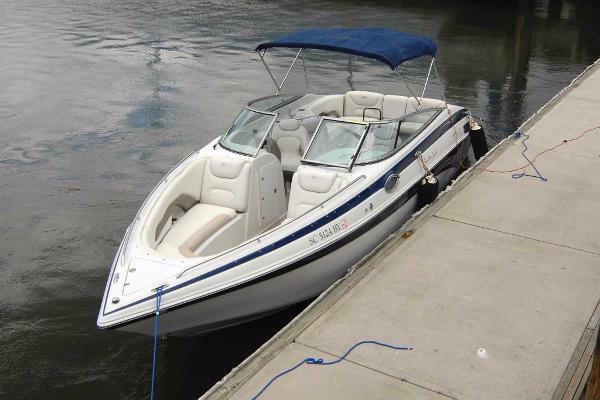 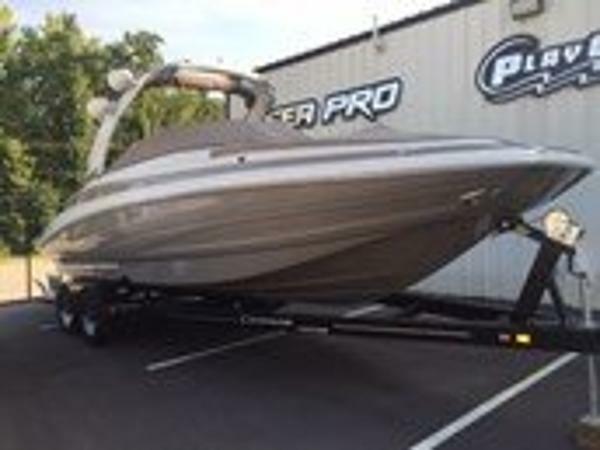 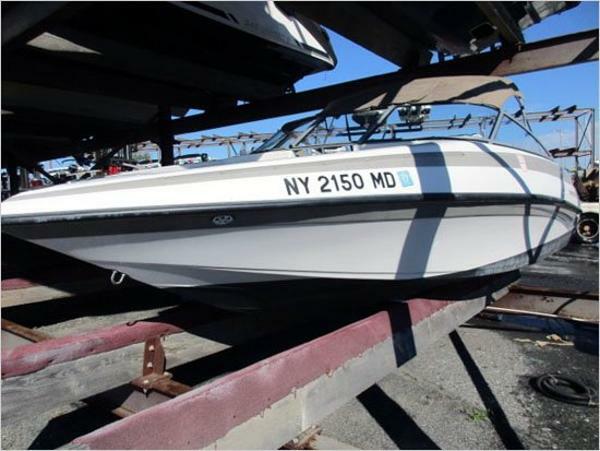 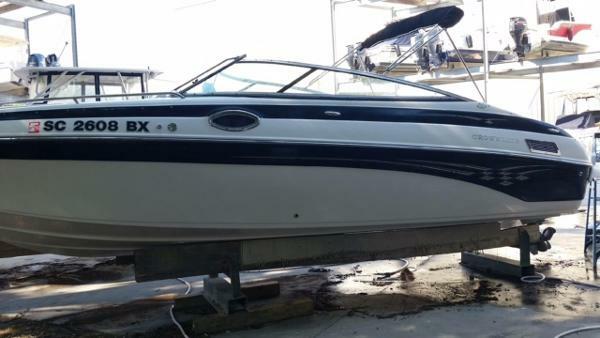 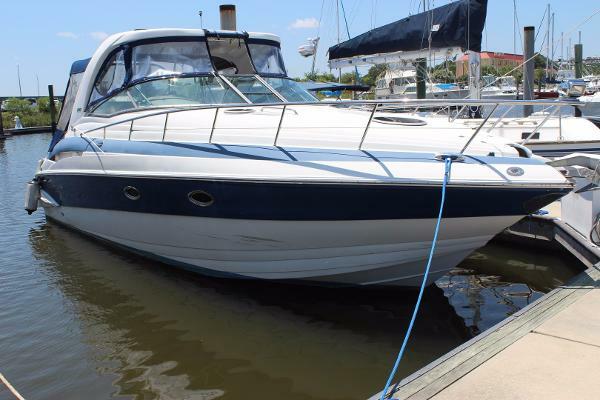 This package also includes a water sports tower (wake board racks included) with rear facing speakers and amp, "Perfect Pass", trim tabs, bow seating with arm rests and storage below, Vaccu Flush toilet with vanity, flip up thigh rise bolsters, Garmin 536 GPS, depth sounder, dual batteries and transom fresh water shower. 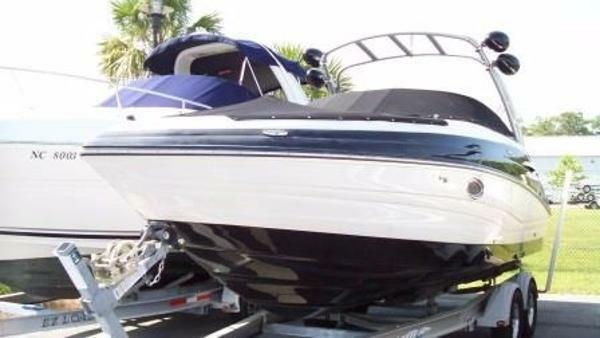 Needless to say LOADED!